In the world of cooking, soups are number one for the winter season. When the aroma of the heated simmering pot makes its way through the house, who can say no to a bowl of savory goodness this time of year? Soup is adored for its effective warm comfort, healing properties and delicious tasty broth that we can’t get enough of. Chicken noodle is a leading favorite, but we guarantee you will be slurping every last drop with our heartwarming Burma Spice special soup Edition. Our four cheese French onion soup is simply timeless. 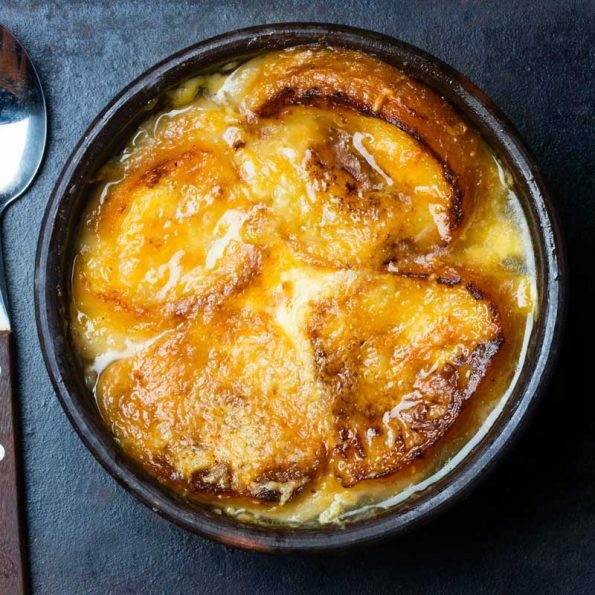 When trying to pick a favorite winter soup, French Onion, with its melted, savory cheese and caramelized onions takes the cake on this debate. French onion soup is a decadent delight. Bonus surprise—our recipe has four different kinds of cheese! Talk about cheesy overload. We start with thinly sliced onions, browned in butter. Then we create a wine reduction with dry sherry and our best selling juniper berries. This recipe takes time, but it’s well worth the wait. Ending with bubbly, melted parmesan, swiss, provolone, and grated gruyere cheese on the top takes this cheesy treat to the next luxurious level! Makes you want to grab a baguette and start dipping your way to deep satisfaction, doesn’t it? We get it. 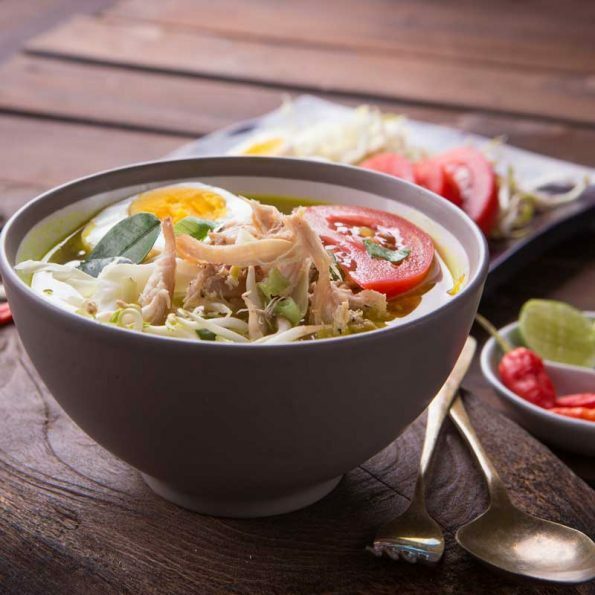 This Indonesian version of chicken noodle soup is called Soto Ayam. It will warm you right down to the tip of your toes. What makes this soup deliciously unique are the fresh herbs and spices used: kaffir lime leaves, lemongrass, cumin, and whole Thai chilis. Top with fresh bean sprouts to add a crunchy texture. Don’t forget to add a boiled egg for egg-stra taste. With oodles of Vermicelli at the bottom of your bowl, you will be in noodle heaven. Comfort food is what Winter is all about! This big bowl of vegetarian pho soup is everything that you need. Fill the bowl with a multitude of your favorite vegetables, including gourmet flower top shiitake mushrooms. Then top with fresh Vietnamese mint or basil leaves. You are in for a treat. It’s the spiced broth that really sells this recipe. A great Pho is seasoned with the best spices: star anise, whole cloves, coriander seeds, and Saigon cinnamon. 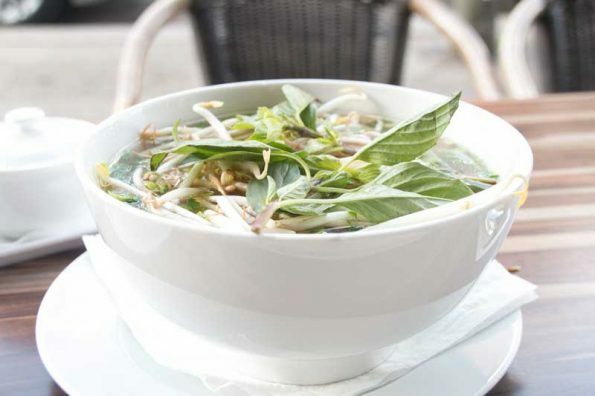 This is the soup Pho you if you want to sip and savor an amazing mixture of nutritious warm bliss.